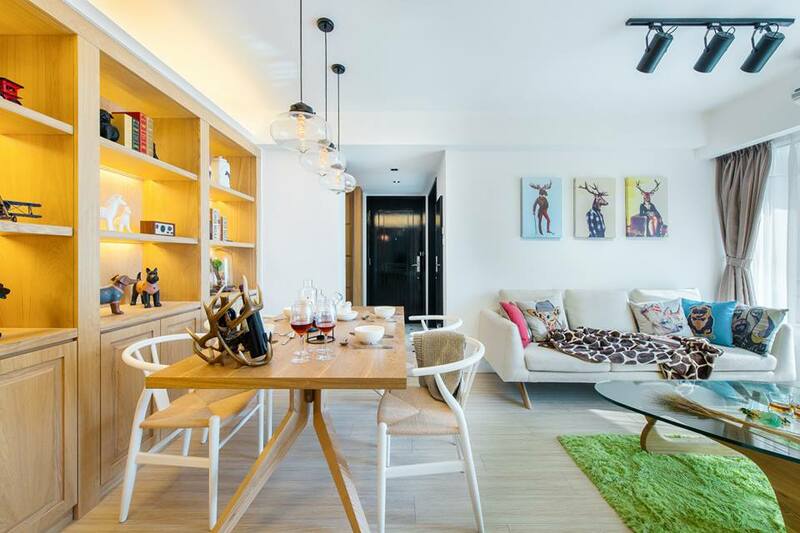 As the couple preparing for retirement, they decided that it’s the best time to move into a new home to celebrate the next stage in life. 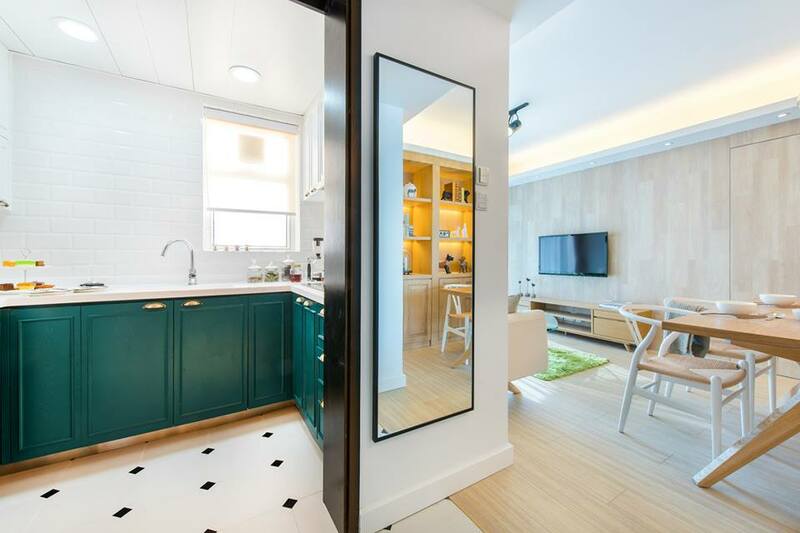 K Design Studio was engaged to give a new life to this apartment they share with 2 daughters in Tin Shui Wai 天水圍 ( Central Park Towers 栢慧豪園 ). 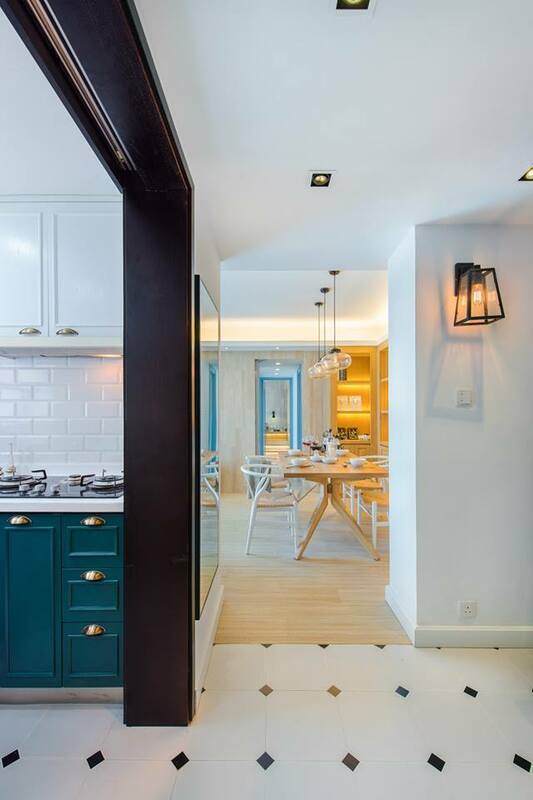 In this 698 sq ft apartment, elements of English garden theme were layered with Scandinavian colour palette and furnishings to create a warm and cozy home that the family could really enjoy. 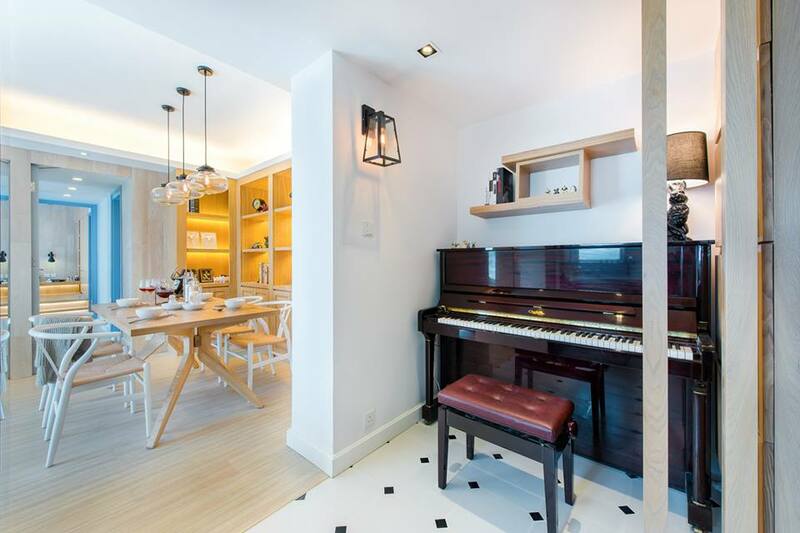 Stepping into the apartment, guests are greeted by black and white octagonal floor tiles that demarcates the foyer from the living dining area. 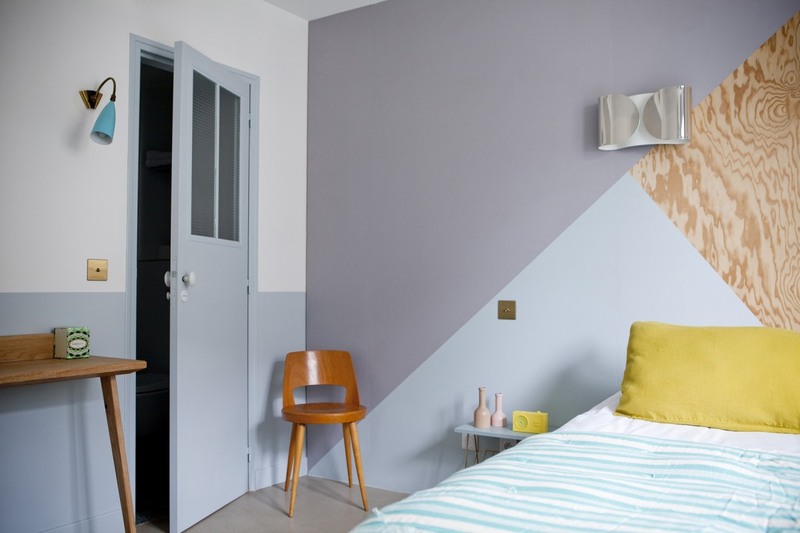 This feature is usually seen in larger and traditional homes, but I feel that it works wonder in smaller space, adding more depths and curiosities to any cookie-cutter apartment layout. 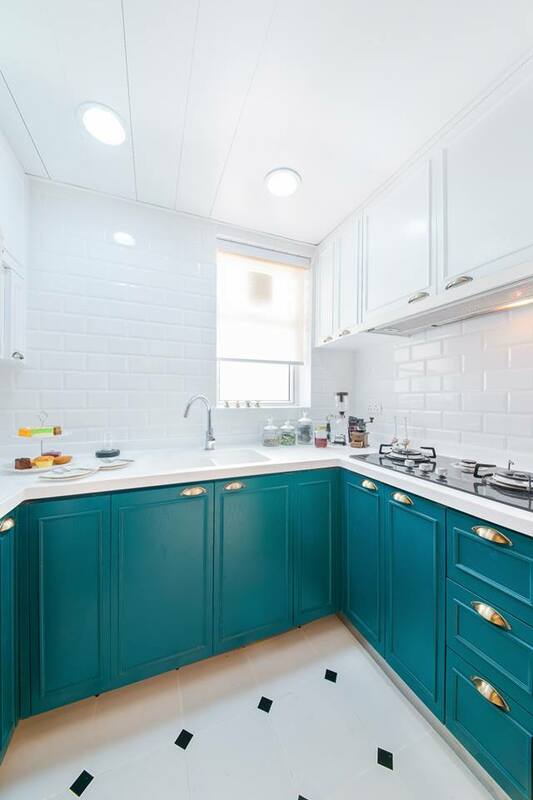 On the left of the entrance, is a kitchen fitted with kelly green cabinetry and brass handle that channel a classic English feel (this also reminds me of the ultra glam green kitchen seen in Cameron Diaz’s home designed by Kelly Wearstler). The walls of the storeroom right after the entrance were demolished to carve a nook for the daughter’s piano. 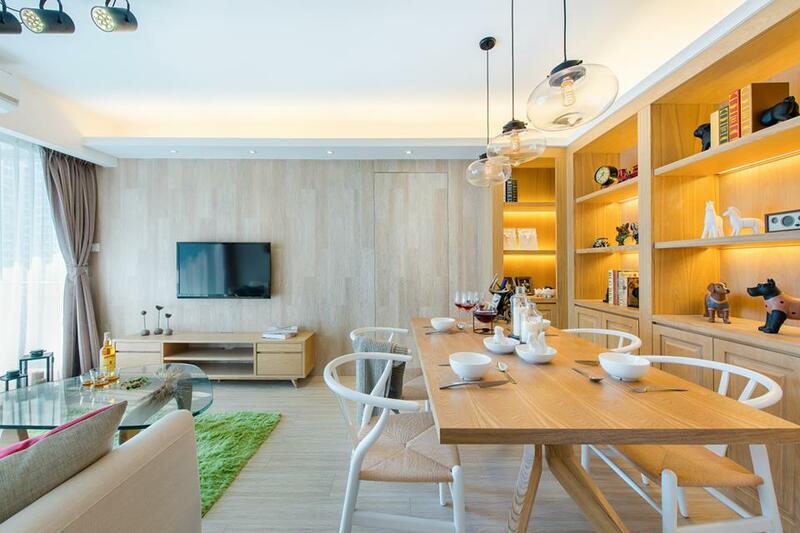 Lots of wood are used in the living-dining area to introduce warmth the interior. 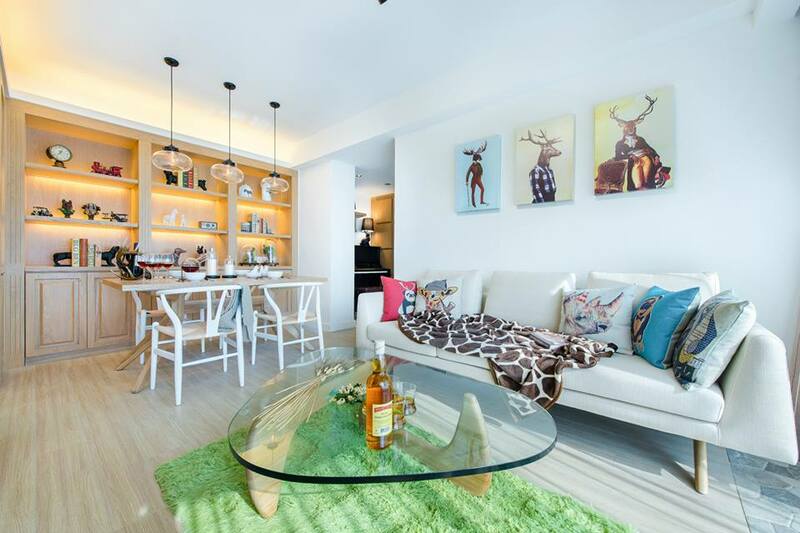 Like how the animal artwork and colorful accessories adding a touch of whimsy to the living room. 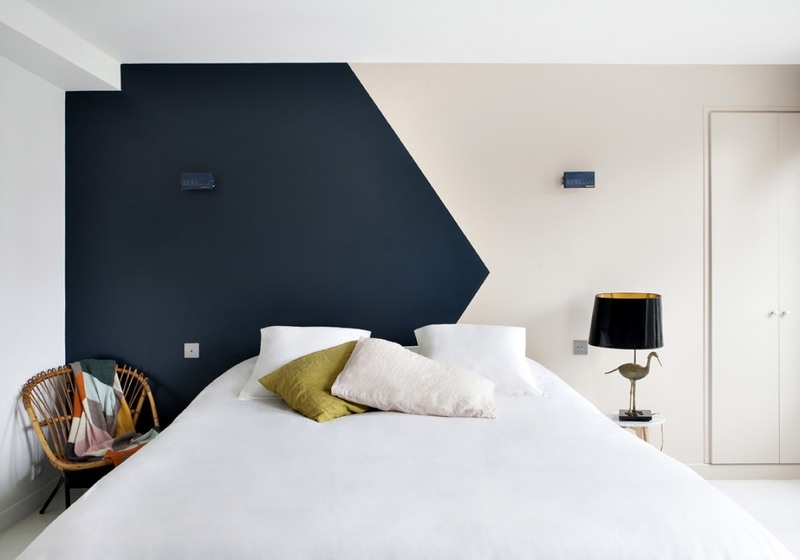 I will be going to Paris again in May, and too bad that I’ve only discovered Hotel Henriette (via Remodelista) after booking my accommodation with one of the charmless budget hotel chain. 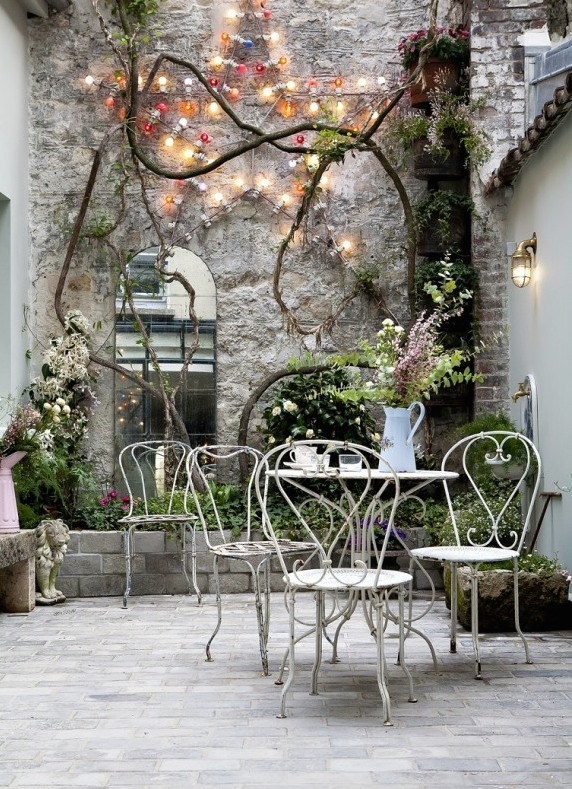 Paris is an absolutely beautiful but expensive city. 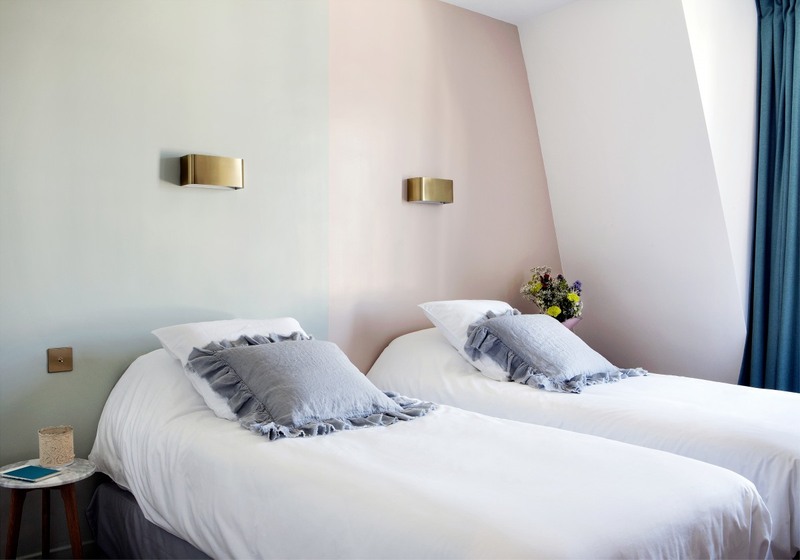 Situated close to the Mouffetard district (metro: Les Gobelins), the rooms at Hotel Henriette appear to be unbelievably affordable (single room starts at €69 per night; double room from €89 per night). 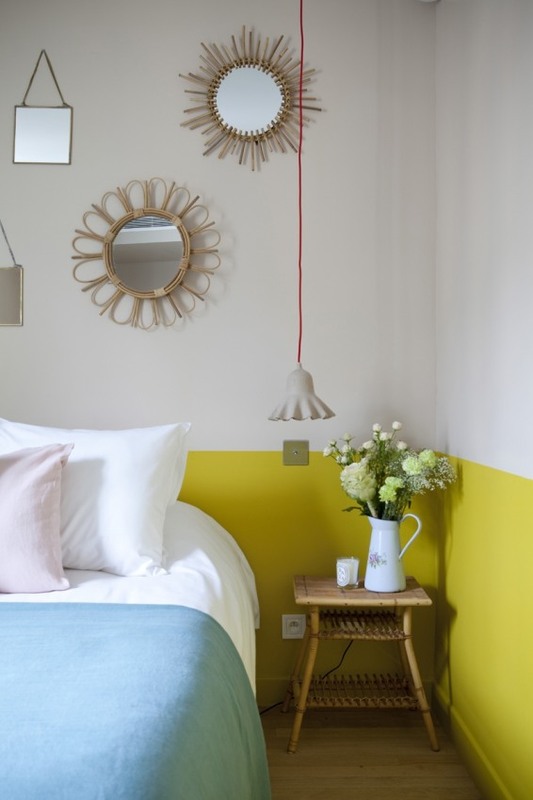 It has 32 individually designed bedrooms and they are great examples of how thoughtful paint selections (think mustard layered against pastel) and simple furnishings are often more than enough to infuse charm and character to any space. 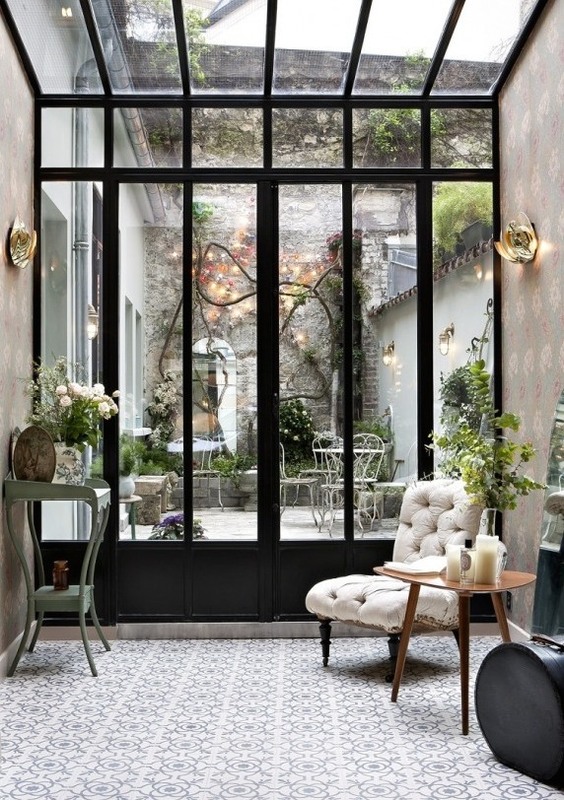 Everything is très chic here. 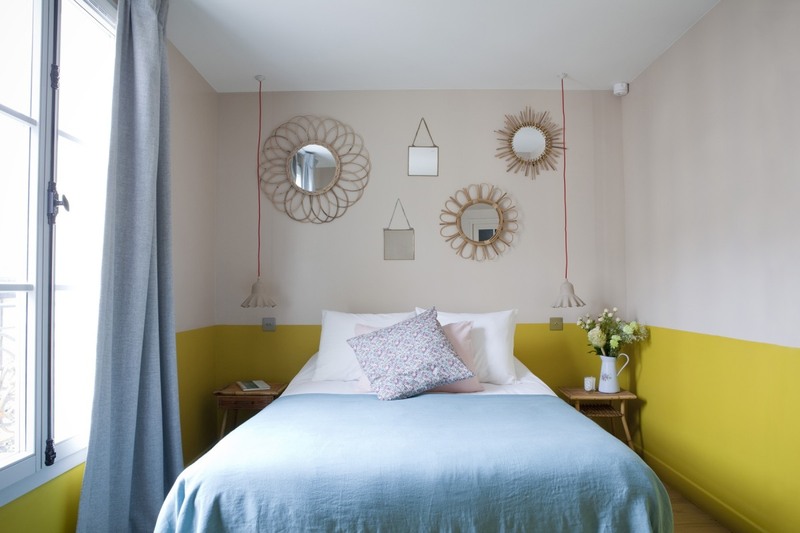 Loads of bedroom images ahead, hope you find some ideas for your next bedroom remodelling! 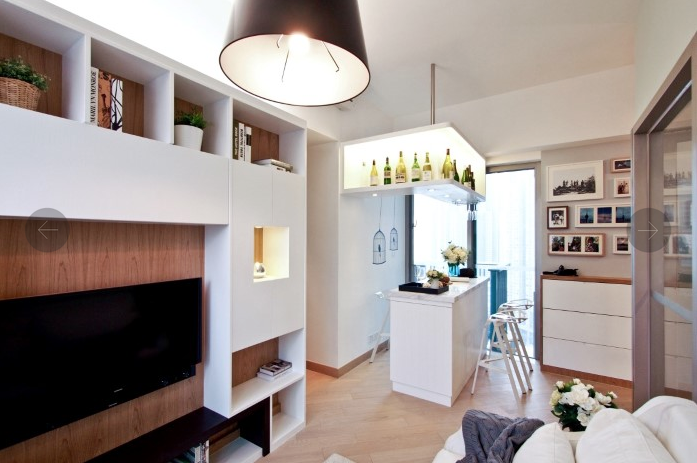 I like the refreshing 小清新 vibe of this little apartment of 637 sqft in Hong Kong, designed by Grande Interior Design. 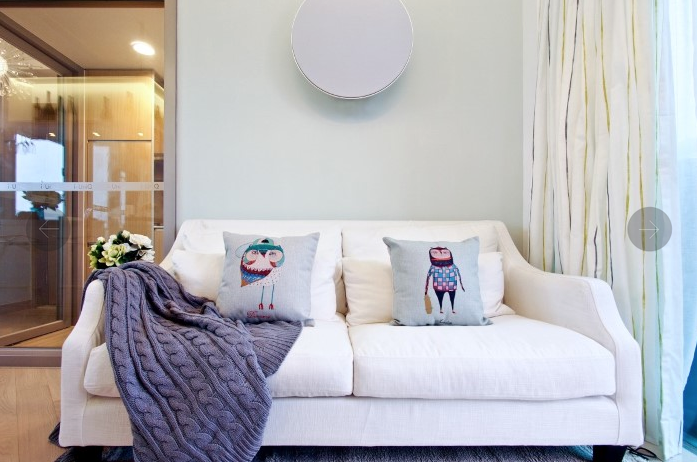 A minty green wall in the living room for the Bang & Olufsen speaker to sing. 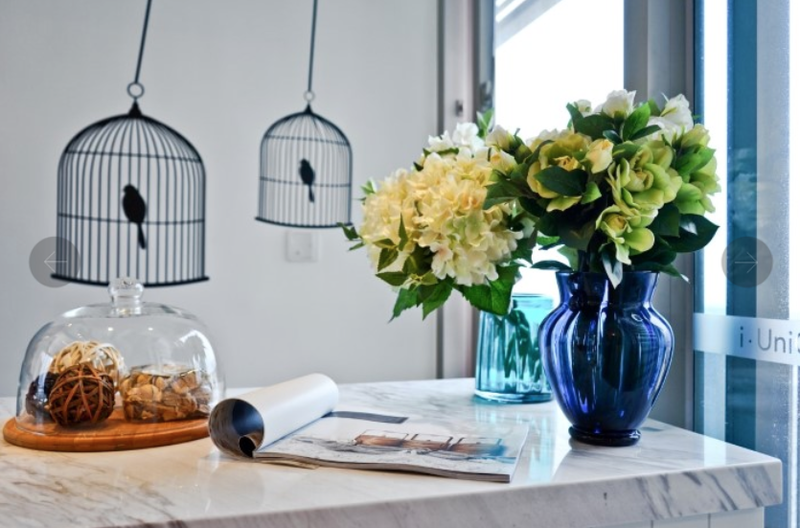 A marble bar counter serves as the dining area for the homeowners. 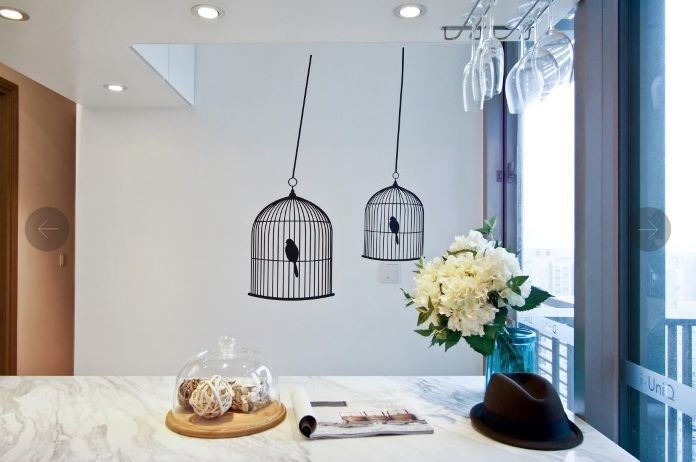 The bird cage wall decals were positioned at an angle to mimic the wind movement. 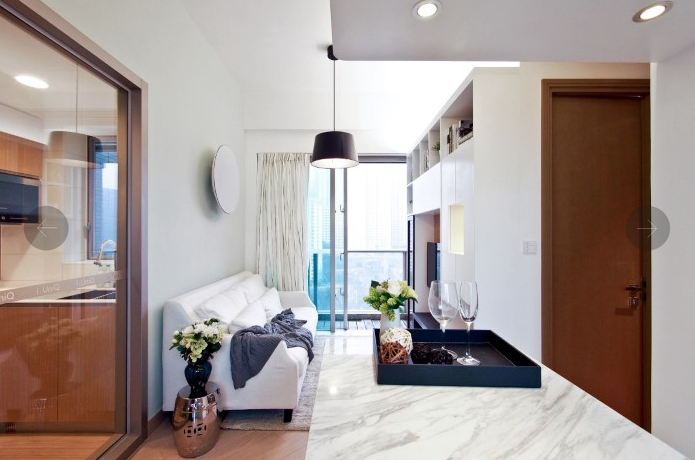 A very relaxing area that feels still feel luxurious with the use of marble.